Made from solid silver which Rob Morris has polished artificially aged through oxidisation, this striking starfish pendant necklace makes the perfect backdrop to the gleaming solid 9ct gold baby starfish. 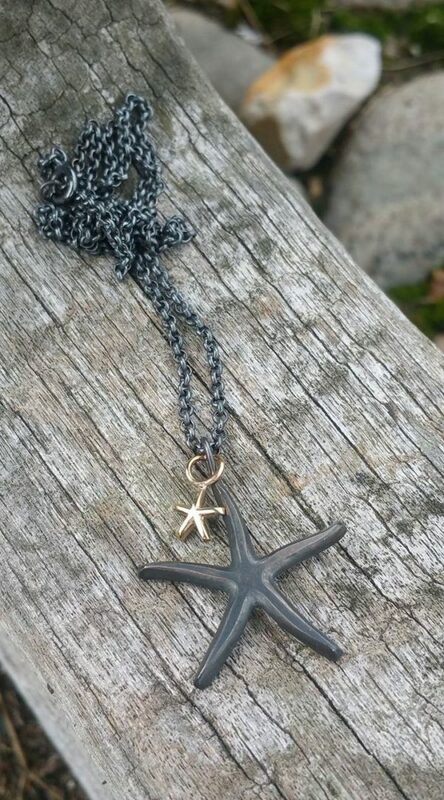 Both are suspended on a solid silver chain which has also be oxidised. 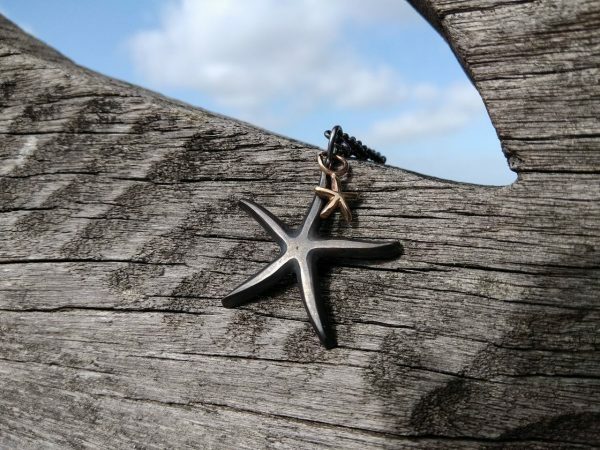 Through normal wear, the chain and large starfish will begin to show bright silver again at the touch points creating a unique effect as the piece evolves over time. 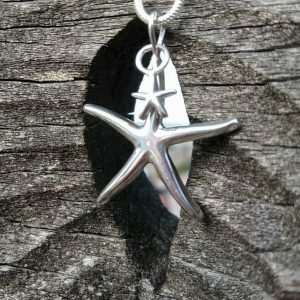 Rob Morris will be happy to re-oxidise the chain and pendant free of charge, but most people love the individual and interesting way oxidised jewellery develops differently with each wearer! 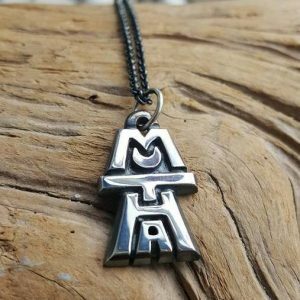 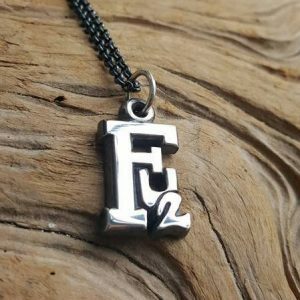 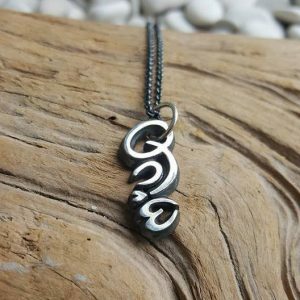 Comes with a 16″ or 18″ oxidised silver chain.